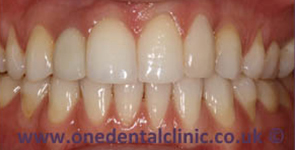 A dental crown is a laboratory-constructed restoration, which covers all or part of a tooth in order to improve both the appearance and function. 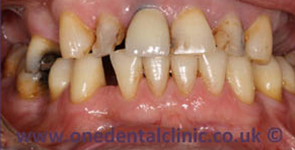 Patient requested a fixed option for the missing upper right incisor which was restored with a bridge. 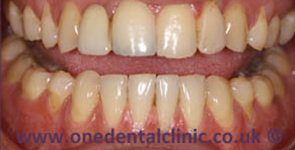 An implant was placed and restored with a porcelain crown and a porcelain veneer on the upper left lateral incisor. Why would I need to have a porcelain crown? I am unsure which treatment will be the most suitable for me? 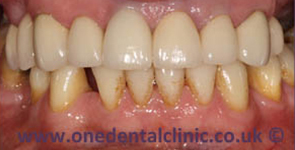 If you are unsure what treatment will be the best for you, please do not hesitate to arrange your free consultation today!